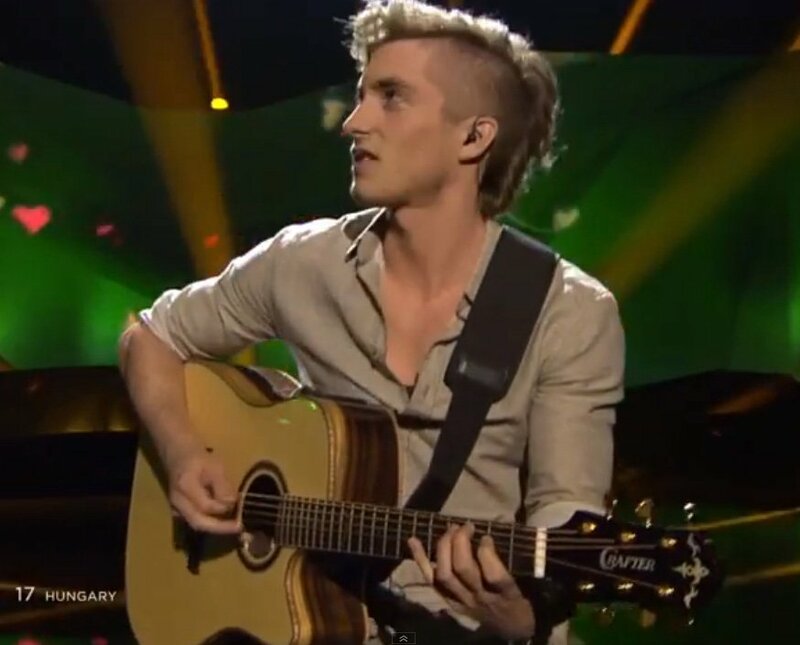 Hands up if you saw the Crafter guitar on Eurovision last weekend? The DLXE 3000/SK was played by a guitarist with ByeAlex from Hungary who came 10th in the table with their song ‘Kedvesem’. If the subtitles are anything to go by then this is a song about a girlfriend being brought up by wolves who splashes in the sea, dances in the clouds and gets messy hair in the wind. A bit tame by Eurovision standards surely? 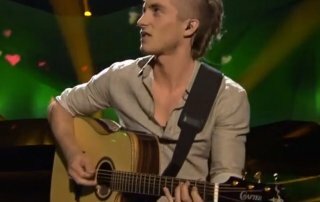 Watch the footage from ByeAlex on Eurovision 2013 below.